Investors will find little to no information available with respect to using warrants as part of a hedge strategy. Since 1973 with the beginning of trading of options on the Chicago Board Option Exchange, www.cboe.com, little respect has been given to warrants. If you visit the websites of most brokerage firms you will probably not even find the word warrants listed in their glossary of terms. The brokers want traders, not investors and it is all about commissions $$$$. We will strive to provide investors (who may also see some trading hedge strategies) with the necessary tools to assist with educating you here on our website. We would like to hear from experienced investors as to other views and uses of warrants, so please leave your comments below. 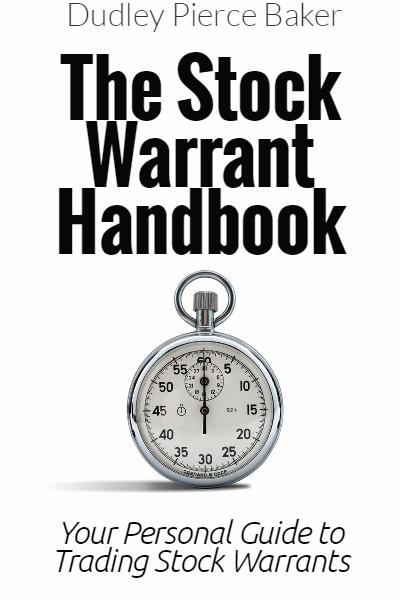 Margin stock is any equity security trading on a national securities exchange; any OTC security trading in the Nasdaq Stock Market’s National Market; any debt security convertible into a margin stock or carrying a warrant or right to subscribe to or purchase a margin stock; any warrant or right to subscribe to or purchase a margin stock; or any security issued by an investment company registered under section 8 of the Investment Company Act of 1940 (with certain exceptions). Indirectly secured includes any arrangement with a customer under which (1) the customer’s right or ability to sell, pledge, or otherwise dispose of margin stock owned by the customer is in any way restricted while the credit remains outstanding or (2) the exercise of such right is or may be cause for accelerating the maturity of the credit. Purpose credit is any credit for the purpose, whether immediate, incidental, or ultimate, of buying or carrying margin stock. Maximum loan value is the percentage of current market value assigned by the Board under section 221.7 (the supplement) to specified types of collateral. The maximum loan value of margin stock is stated as a percentage of its current market value and has been set at 50 percent since 1974. Options, including puts, calls, and combinations thereof, have no loan value, unless they are publicly traded. Publicly traded options qualify as margin stock. All other collateral has good faith loan value. An escrow receipt from a bank or trust company showing the stock is on deposit and will be delivered in the case of an assignment. If the short call is covered by any of the above positions, the option is considered covered and no additional margin deposits will be required. If the investor is long a warrant with an exercise price that exceeds the exercise price of the call, the investor will be required to deposit the difference in the exercise prices in cash to hold the position.